UES | Thanks a Glatt! 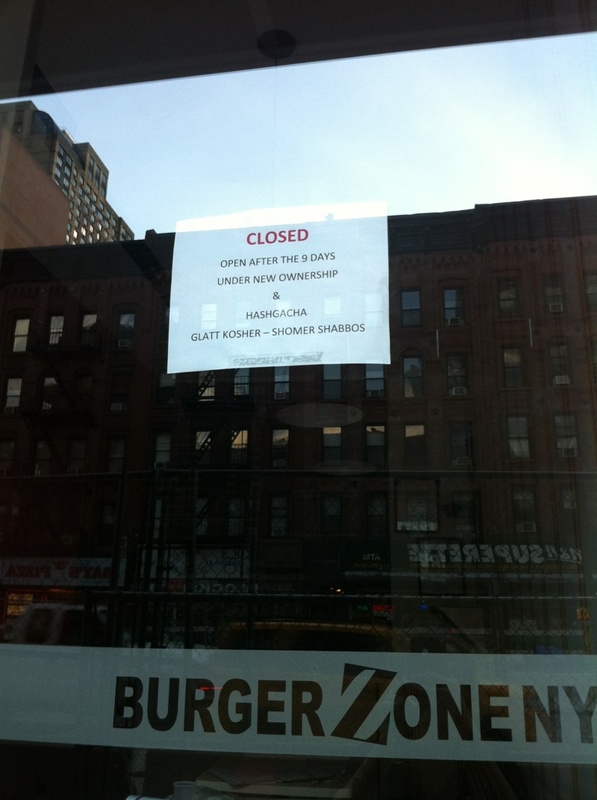 Unfortunately we have some sad news about Burger Zone on the Upper East Side, they look to have closed according to this photo sent in from one of our great Thanks A Glatt readers. They were supposed to go Glatt Kosher after the nine days but it looks like that never panned out. Hopefully someone else will pick up where they left off and reopen something kosher soon! Tipster and friend to Thanks A Glatt (they happen to live upstairs!) 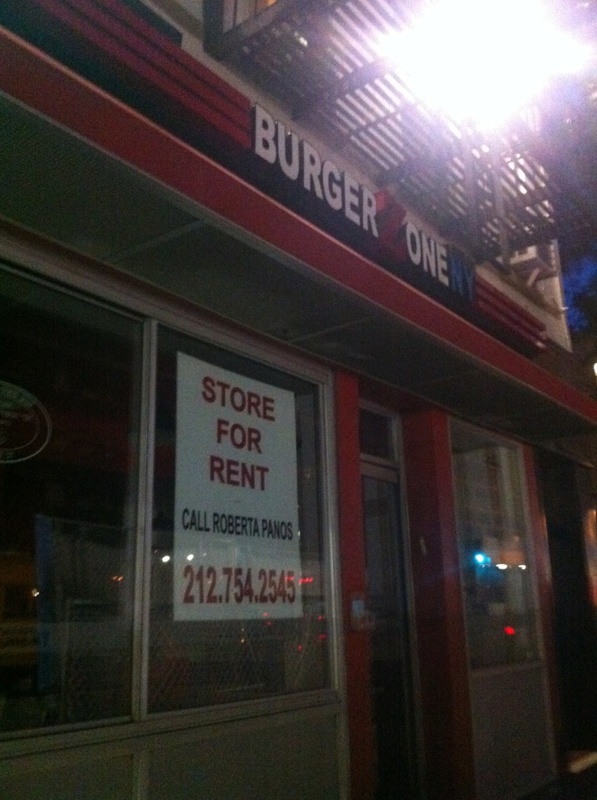 sent us this picture of Burger Zone on the UES with what looks like good news, they are under new ownership and hechsher! We have further discovered that they will be under the Vaad Harabonim of Flatbush! 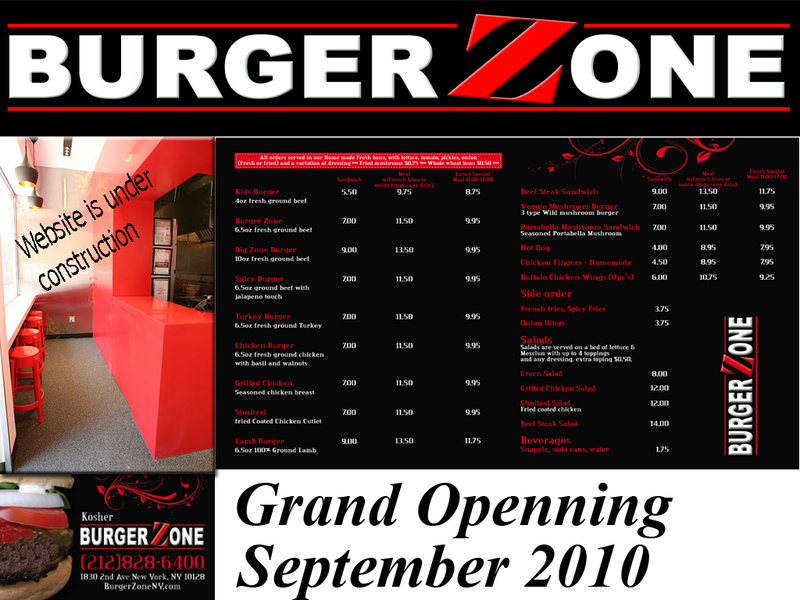 We look forward to finally checking out their burgers! Rectangles, the Yemenite restaurant on the UES is now under the supervision of Rabbi Israel Mayer Steinberg. Disclaimer: Cup-K Restaurants are open on Shabbat. 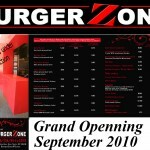 Burger Zone now open on the Upper East Side! Since we never really venture past 60th street (it’s too scary to go any higher!) will someone go check it out and let us know how it is? Better pictures and a phone number would also be appreciated. 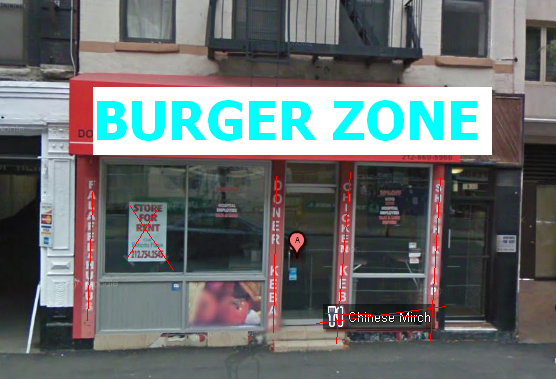 UPDATE: We found a website for their Grand “Openning” –> www.burgerzoneny.com which has a menu that we put below. $7 for a burger and $11.50 ($9.95 during lunch) for a combo. 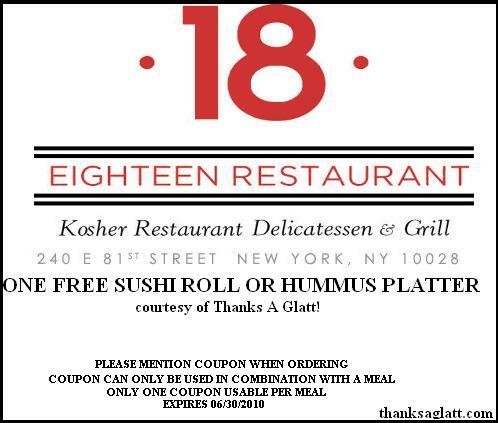 Free sushi or hummus platter at Eighteen Restaurant courtesy of Thanks a Glatt! Last Wednesday we announced the grand opening of Eighteen Restaurant on the Upper East Side which seems to have some great reviews so far, so here is even more incentive to go check it out. 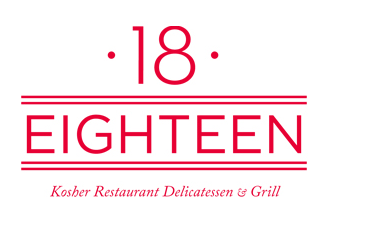 A new Glatt Kosher Restaurant, Eighteen Restaurant has opened up on the Upper East Side at 240 East 81 street in the old Turquoise location. Their menu will consist of deli, grill, and sushi (what a surprise, a kosher restaurant that also serves sushi!). At $15-$18 on average for a burger, $18 for a sandwich, and around $20 for their salads this place looks to be a bit pricey. If you have have a chance to go here drop us a line in the comments and let us know if it’s worth it! 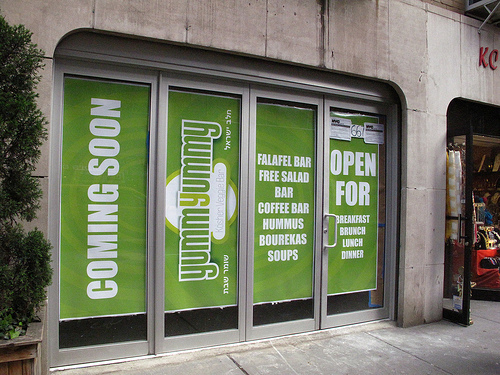 A Cholov Yisrael, Shomer Shabbat Veggie Bar called Yummy Yummy is in the final construction phases and will be open within the next few weeks on Lexington Avenue between 55th and 56th streets. According to the sign it will offer a Falafel bar, various coffees, soup, bourekas, and many other lunch options. Does anyone have any contact info for these guys? We would love to talk to them! 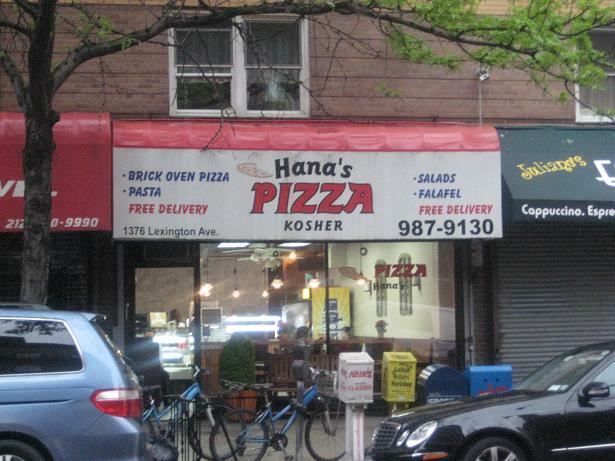 I had to head up to this part of town tonight because I had a meeting so I figured out I would check out Hanna’s Pizza. The funny thing is as I was thinking about it about earlier today ten minutes later I got a text from the person I last went there with about a year and a half ago, and I hadn’t heard from them in months – ironic. The word on the street is (and their website states it) that Dakshin is now OK Kosher as of the weekend! It hails itself as the first and ONLY Glatt Kosher Indian food in New York City! Make sure you go to this location only because their other location is not certified!